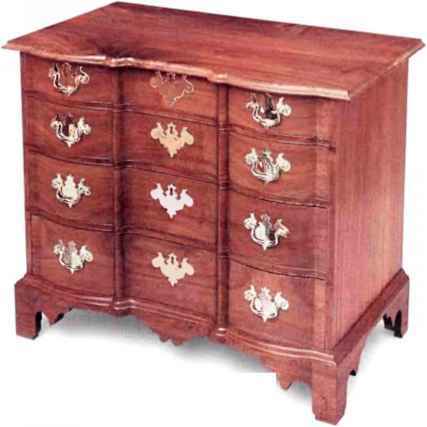 TOP EDGES ARE an opportunity, a chance for a furniture maker to reinforce and enhance the overall design of a piece: to emphasize the horizontal or vertical aspect, to draw attention away from the base and toward the top or vice versa, to repeal an element or quahty oflhe base, or to lake the piece in a new direction. 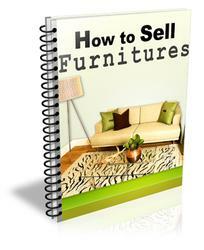 But a top edge, whether on a table, a desk or a case piece, is not experienced in isolation. Radier, the edge affects you in concert with the rest oflhe piece. An edge is a kind ofhot spot, a place where the top and the base come together. An edge is also just one part of the top. When you design an edge, you must consider the size and the shape oflhe top, as well as the edge profile itself. Sizing the Top an opportunity, so too is ihc study of edges. Whcther you build 18th-century reproductions or your own contemporary creations, a close look at edge treatments offers you a chance to add another set of options to your designer's tool kit. EDGE AMPLIFIES TOP. In this pie-crust table, the top is intricately shaped in both plan view and In elevation. The concentric curves of the concave and convex edge carvings produce a pattern of inside and outside corners, enhancing the effect of the top's shape. EDGE IGNORES BASE. The shaped top of this Connecticut lowboy is a bold design (imagine the lowboy with a rectangular top), but there is little relationship between the top and the base that the top ofa table you've made looks too thin once the edge has been molded. Should the top have been thicker or would a different molding have looked better? Hither way, the slightest of alterations might have made all the difference. When designing a labletop, you should consider the size of the top before the shape of the top or the treatment ofits edge. This is because you first take in the overall stance of a piece. You register the thickness ofthe top and the degree ofits overhang long before you lake in small-scale details such as the profile oflhe edge. From a distance, the elevation (front) view dominates the plan (top) view. A thin top tends to make the entire piece seem more delicate; a thick top tends to have the opposite effect. Large overhangs emphasize the horizontal; small overhangs allow you to grasp the relationship between the top and the base. 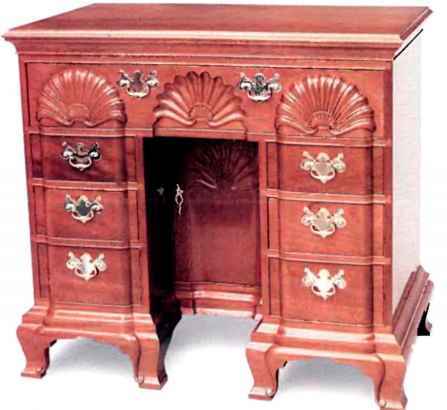 The molded top edge and submolding on this Newport knee-hole desk read as one wide molding. The vertical quality of the wide molding emphasizes front elevation over plan view, directing the eye to the shells, which terminate the blocked design. But the interaction ofoverhang and base is rarely so simple. As you come closer, a large overhang will block the view oflhe base. This limits opportunities for small edge details to tie the base and top together. So large overhangs tend to put a premium on plan-view design ideas. It may be enough for a large rectangular top to be made of beautiful wood: a single wide board or well-matched, figured wood. On such a table, a simple edge treatment will hold the viewer's gaze to the center oflhe top, emphasizing the wood itself. Now consider a table or case piece for which you want to emphasize one elevation over the others, say a chest of drawers that will be viewed mostly from the front.The side overhang can be large, creating a strong horizontal effect from ihe front, and the front overhang can be small.The benefit of the small front overhang is that, as you come closer, your view oflhe base isn't cut off. Lowboys (see the left photo on p. 137) and block-front bureaus (see the bottom photo on the facing page) are both good examples of this design idea. 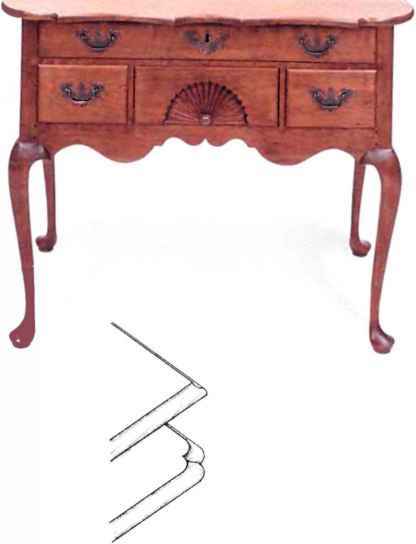 Even up close, the scrolled apron oflhe lowboy shows as well as die top.With ihe bureau, the focus on the stack of shaped drawers is reinforced by having a shallow front overhang shaped to match the curving pattern oflhe drawers. Iflhe overhang is kept small on all sides, a curious ihing happens. The horizontal quality oflhe top is suppressed, and the overall visual effect is one of compactness, which can be seen in the Newport block-front desk (see the photo at left). A small overhang on the desk contributes to a compact stance and places the emphasis on the elevation. In addition to the size ofa top, the shape of a top in plan view provides another level of information to read along with ihe edge treatment. A top with a visually active shape leads the eye around its edge. Iflhe edge it-selfhas an interesting profile, the shape of the top can intensify the effect of the profile. Tripod pie-crust tables (see the right photo on p. 137) are a perfect example of this phenomenon. 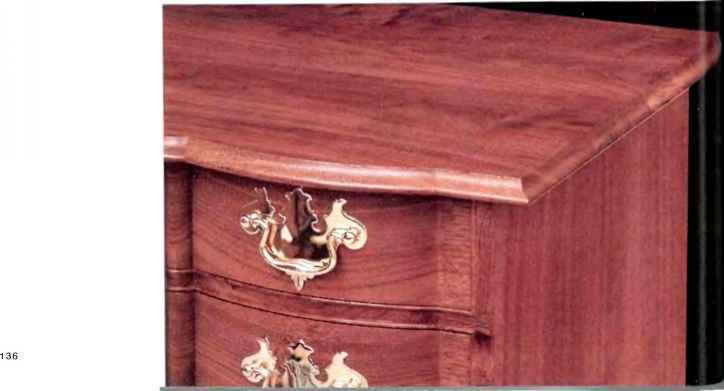 Historically, shaping the tops of tables and case pieces was an expensive and desirable alternative to the more common rectangular top: embellishment equaled sophistication. However, I believe shaped tops proliferated due, as much as anything, to their dramatic visual effect. In many instances, a simple four-legged rectangular base would receive a shaped top to dress it up. Another approach was to have the base and top share a common form. The top becomes an extension oflhe base: The shaped edge functions as one more layer of concentric information. By itself, a shaped top shows only in plan view; it essentially disappears in true elevation. But when moldings are introduced to the edge, a new effect develops. Patterns of shaped miters occur at every break from flat to flat, curve to curve or curve to flat. Often a shaped top develops a rhythm ofinside and outside corners.This rhythm has a powerful visual effect on the edge. The more complex the molding, the more complex the intersections, and the more powerful the effect. Ifeilher the lop or the molding was square, the effect would be lost. Once you've looked at the way the size and shape of the top interact with both the lop edge and the overall piece, you are ready to consider the edge itself. The design of an edge profile is all about curves or the lack of them. When it comes to designing curves (whether they're an aspect of an edge or of some other furniture element), there are those who prefer freehand curves and those who prefer compass-based constructions. 1 certainly work with freehand curves, but I find my self reaching for a compass more often than not. 1 typically begin with either a tracing of an edge profile from a period piece or a rough freehand sketch of an edge profile 1 like.Then by careful observation and some guesswork, 1 try to find compass settings that will pass a line along the original, \lany times two or three compass points will get me very close. A curve that is pleasing to the eye is said to be fair. I've found that experimenting with a compass gives me a good sense of the character of fair curves. You can't kid yourselfwith a compass: either the radius hues ofthe two arcs share a common hne or they don't. Flats or dead spots on a curve show up quickly with a compass because you can't get the curves to meet. As a practical matter, designing edge profiles by using sections of circles enables you to use common, in-stock cutters to mold the edge. For short runs, I often find it quicker to cut an ogee with two router bits rather than to grind a large cutter. Using part of the curve ofa core-box bit and shortening the wings ofa quarter-round bit will allow you to mold ogees with httle cleanup. Over the years, I've observed a few fundamental principles for designing edge profiles: Round surfaces are softer-looking than flat surfaces; vertical lines and horizontal lines have a more severe effect than angled lines; 90° corners have a harder look than obtuse corners; the viewer of an edge reacts to shadow and light as much as to volume and shape. In the glossary on pp. 140-141,1 look at six basic edge profiles. The trick for the designer is to manage all the variables ofthe edge treatment while keeping an eye on the rest ofthe piece as well. A hands-on approach is the only way, ultimately, to discover the edge treatments that make sense for your work. 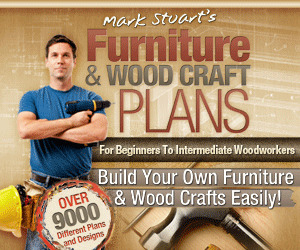 WILL NEPTUNE is a furniture maker and a woodworking instructor at the North Bennet Street School in Boston. Mass. 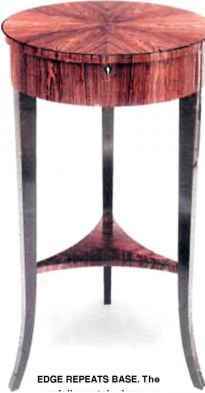 careruiiy matcnea veneer pattern on this Bledermeier tripod table leads the eye around the edge, making a direct visual connection between top and apron. EDGE REINFORCES BASE. The blocking in this Boston block-front bureau Is worked out through the entire elevation. The top edge is molded following a pattern of curves concentric to the drawer-front plan. The blocking design is reinforced by the top-to-base relationship. This most basic edge shape is bold and simple. The single vertical surface «fill light up as a uniform plane or be uniformly in shadow. The curve ofthe half-round (or bullnose) flows smoothly into the flat surfaces, softening the appearance of the edge. There are no hard surfaces or corners to interrupt the flow, but the price is the lack of clear boundaries. Though still a simple shape, the half-round seems more complex than the square edge because as you move around it. bars of light travel across its curved surface. The astragal begins as a soft half-round, but adds fillets to both sides. The combination of flats and a curve creates a bolder and more severe border than that of the segmental (at right). The added complexity ofthe flats makes the top appear thinner. The segmental produces the same softness and sense of movement in light as the half-round, but the corners formed where the curve breaks at the flat win back some hardness and provide a definite border. Moving the compass point inward makes the edge a smaller piece of a larger circle: if the circle gets too large, the segmental appears as a square edge. But if the circle gets too small, the edge becomes, in effect, a half-round because the corners are less distinct. In a thumbnail edge, the curved surface is tipped, blurring the distinction between vertical and horizontal, yet the small top fillet provides a crisp border. Moving the compass point down and to the left, as in the bottom thumbnail, generates a larger curve, flattening the edge profile. The reverse curve of the ogee breaks the thickness of a top into several horizontal bands. This layered effect makes the top look thinner and more delicate. The concave and convex parts of the curve are perceived as separate elements, but because the transition Is fair, there is no hard line to interfere with the feeling of softness. And yet. the crisp top corner provides a distinct border. Ogees 1 to 3 have similar curves but different proportions. 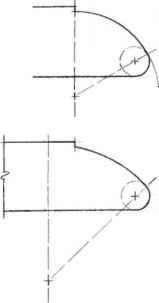 Increasing the radius of the upper, concave curve changes the overall proportions of the profile, making the half-circle nose appear pointier. In ogees 4 to 6. the compass point for the concave curve moves upward. As the compass point moves up. the arc becomes less than a quarter-circle, and the top corner becomes more obtuse, making it softer and less defined. A more subtle effect occurs where the concave and convex curves meet. If the convex curve completes a half-round. as in ogees 1 to 4. you sense the horizontal tangent line at the top of the curve. This comes across as a shelf, and gives the edge a harder, even harsh, look. Moving the compass point both upward and to the right, as in ogees 5 and 6. allows you to begin the upper, concave curve before completing the half-circle of the nose curve. This tips the tangent line away from horizontal and gives the resulting S-curve a more gentle feel.